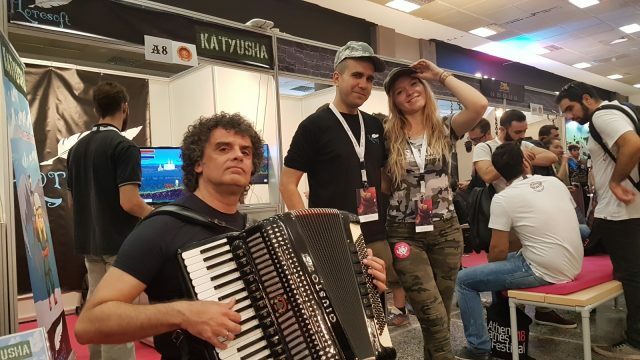 Here in Loresoft we had a blast in Athens Games Festival 2018, which this year had thousands of visitors! All 4 greek members of the development team joined the event with a booth. 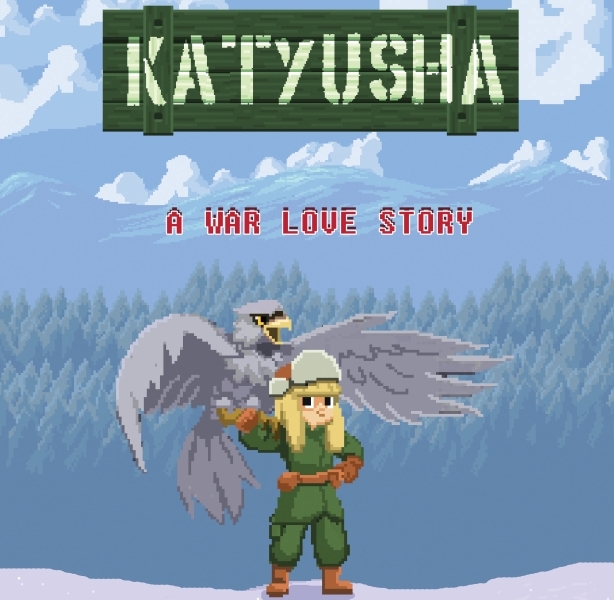 We even had Katyusha nominated for the Nordic Game Discovery contest. Having only an alpha version of the game in our hands, we ended up 2nd with just one vote difference from the first! This was a great confidence boost for the team, and the best is yet to come! In our booth we had accordion player and two Katyusha cosplayers. 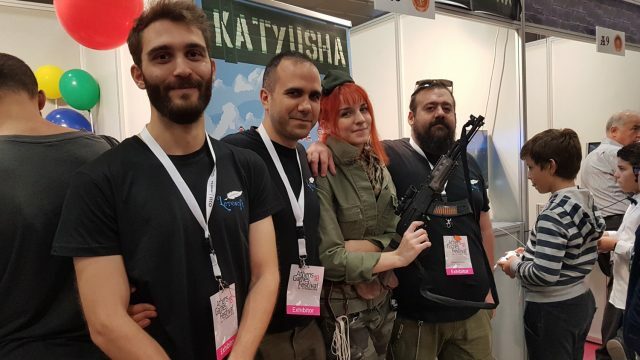 Visitors enjoyed their time playing Katyusha’s new early alpha version (the demo of which is now available on Steam). The initial demo that we announced in September has been updated with a patch. More info about this very soon. In the meantime, we have hired our new lead developer during early October and we are glad to announce that we are in “Workstorm mode”, preparing tons of features, all of which will be available, starting from our Steam early demo. The final version of the demo will consist of 2 levels, so that you are fully aware of your experience in the final version of the game. 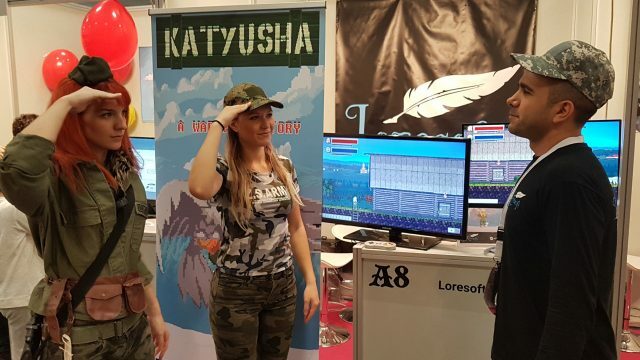 Nordic Game Discovery contest: Katyusha ended as a runner-up between 80 games! Thank you all for being there. We even saw some Russian supporters that met us back in White Nights Moscoe 2017 where we presented our prototype version. Finally, after our presence in Nordic Game Discovery contest as runners-up, we have been approached by several publishers, so we have a point where we are also discussing the funding of the project. Thanks for your feedback and we hope that you had a wonderful time! See you soon in the next event, which will be either in Athens or outside Greece.